650 W charge controller controlled by Microchip from IstaBreeze. 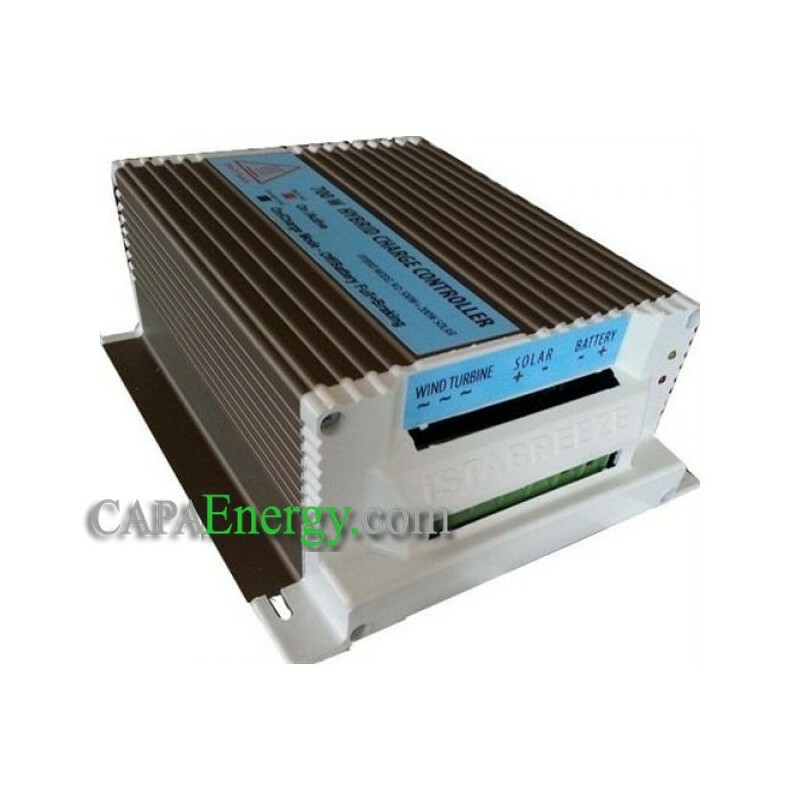 The charge controller is suitable for 500 watt three-phase AC generators and 150 watt PV. This 24 Volt / Hybrid Charge Controller is 650 watts for parallel use of Generators (24 V / 500 W, 3 Phase, AC) youe photovoltaic modules (24 V / 150 W, DC) suitable. Fits our proven wind generators Breeze ista!